Hélène, was a bright, lively and intelligent young woman who loved life and who in the desolations of untimely deaths and family misfortune sought passionately for what was worth loving. At the age of 17 she was given an experience which gave her the answer. The completeness of God’s love flooded her whole being. After this grace,” she wrote, “I could no longer separate myself from His beauty". Will you.. ?” and I said, “Yes”. “Mary, victim of Jesus and of Jesus crucified” (personal notes of Helene). for where crucified love was taking her. 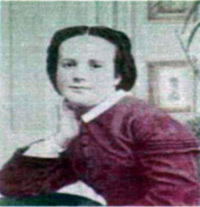 In 1864, aged 25, she entered the Marie Reparatrice congregation in Toulouse and was given the name, Mary of the Passsion. The next year she was sent unexpectedly to the Madurai mission in South India and two years later was placed in charge of the three Reparatrice communities. 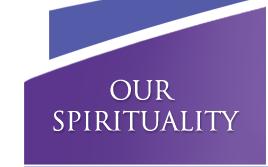 The decade which followed was an extraordinary schooling in sharing the mission of Jesus in and through the structures of church and religious life, and in a cultural milieu that never ceased to raise new questions, new challenges and new possibilities. She responded with her whole heart and her horizon kept widening. They were also years of intense suffering that came to her from two of her great loves: the church and her religious congregation. as she agonized to find the path that kept being traced for her. In 1876 the path lead to a painful separation of twenty women from Marie Reparatrice, and the beginnings of a new religious institute, Missionaries of Mary, dedicated to universal mission and with Hélène de Chappotin as its chosen leader. 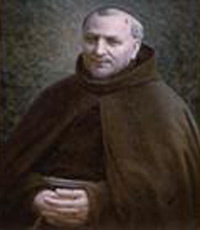 A former horizon opened again to Hélène in 1882 when Providence led her to the Franciscan house of Ara Coeli in Rome and to two men who became staunch supporters and wise mentors: Friars Bernadine of Portoguaro the Minister General, and Raphael D’Aurillac, who became a life-long friend, brother and spiritual advisor to the FMM. 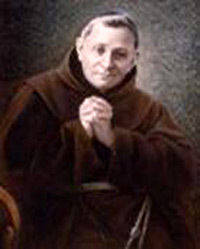 Later in the same year the young congregation, now established in India and Rome and with a novitiate in France, was joined definitively to the Franciscan family and became Franciscan Missionaries of Mary. "My soul was like a little bird let out of its cage." The troubles she had encountered in Madurai followed her to Rome. 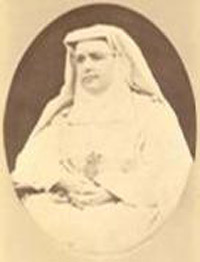 In 1883 notice came from the Vatican that the Roman community was not to be considered a mother house and Helene, known as Mary of the Passion, was to step aside as general superior and have no contact with the sisters in India and France. She was subjected to an extensive ecclesiastical examination and finally after fifteen months of painful isolation and suspicion her name was cleared and the Franciscan Missionaries of Mary were affirmed as a religious institute within the Church. For Helene it was "the last whip of the donkey". 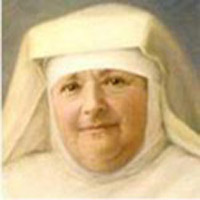 Although she trembled she accepted that she was indeed called to be the foundress of a missionary institute and for the next 20 years devoted herself completely to the spiritual and missionary formation of the sisters, the organization of their missionary activities and in furthering, wherever and with whomever she could, God’s reign of beauty, justice, truth and love. She was tireless in self-giving. 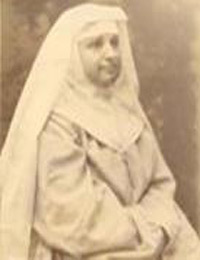 In the 27 years that Hélène de Chappotin guided the young missionary institute, from the pain-filled separation in India to her death in San Remo in 1904, she had founded 88 convents in 24 countries and on 4 continents. She was the revered mother and guide of over 2000 Franciscan Missionaries of Mary. She bequeathed to them and to future generations a solid missionary spirituality born of her fidelity to a life centred in God and given totally for others: a radical gift of self rather than an activity. Francis to show them the way.